PITTSBURGH, PA (May 10, 2012): Vector Security® received the prestigious Industry False Alarm Reduction Achievement Award from the False Alarm Reduction Association (FARA) at the association’s annual conference in Albuquerque earlier this month. Presented annually to a security systems company that demonstrates meaningful reduction in false alarm rates, the award acknowledges the effectiveness of the industry-leading false alarm reduction program developed by Vector Security. To win the award, a company must first be nominated by a public safety agency and then selected as winner through a voting process at FARA’s annual meeting that includes industry peers, alarm association representatives and public safety officials. "We are honored to be a second-time recipient of this noteworthy award," said Pam Petrow, President and CEO of Vector Security. "Reducing false alarms is extremely important to us, as theynot only consume valuable financial and human resources, but they also distract first responders from performing their core responsibilities." 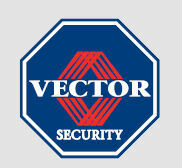 "Vector Security employs a 12-point false alarm reduction and prevention program so when we dispatch help to any of our customers, authorities know the need for a response is real, which helps save precious time in an emergency," said Anita Ostrowski, Vice President of Central Station Services for Vector Security. Ostrowski noted that the effectiveness of the false alarm reduction program at Vector Security is evidenced by the fact that its dispatch rates have decreased consistently over the last several years. The company’s false alarm reduction program has also been honored with the Police Dispatch Quality (PDQ) Award and by the Central Station Alarm Association (CSAA).